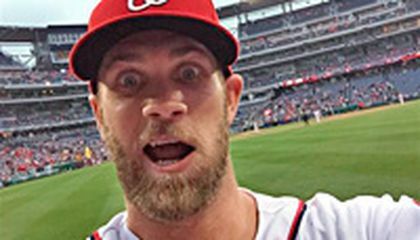 The Washington Nationals slugger known for launching long home runs thrilled a fan at a recent game, gesturing for her cellphone, snapping a playful selfie and then tossing it back into the stands. Roach, who said she goes to about 40 games a year, quickly sent the picture to friends and strangers at the game and the selfie was uploaded to social media sites. The Internet took it from there. Bryce Harper fosters a relationship with fans because he actually notices them and cares about them deeply. CTC: Harper fosters a relationship with his fans because the more you intertwine with your fans the more they will enjoy you, and would vote for you to be an all-star. CTC: He fosters a relationship with fans because the fans are always taking pictures of him. And, he knows that is one of the most loved players in MLB, so why not take a picture with a fans phone? I think Harper forms a relationship with his fans, because it grows his reputation as a person, and it benefits him in many ways. It brings people back to the games to watch him play, and it can lead people to buy his merchandise. He fosters A relationship with fans because he know he is loved. He just wants to show them how much he loves them. So in return for their support he gives them autographs, balls ,and even sometimes selfies. Bryce Harper fosters a relationship with his fans because, he says it is fun and he likes to mess around with them to. Bryce makes a relationship with fans so he gets more votes. 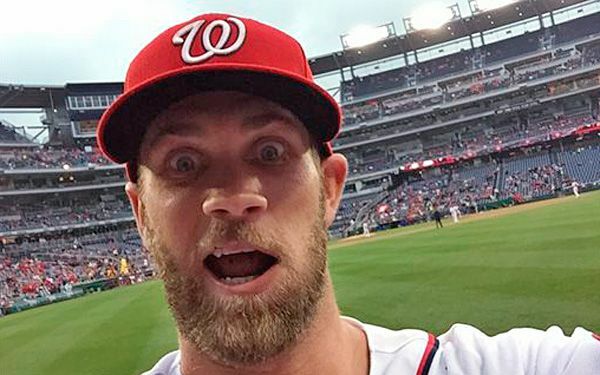 Bryce harper fosters wuth his fans so he can have a good time with them. Bryce Harper Fosters a relationship with fans because he says it's fun. in the passage it says "...Enjoying it with them a little bit. It's always fun." That is how I know.